We have recently found two traditional method sparkling wines that we love – one from Oregon and one from Washington. 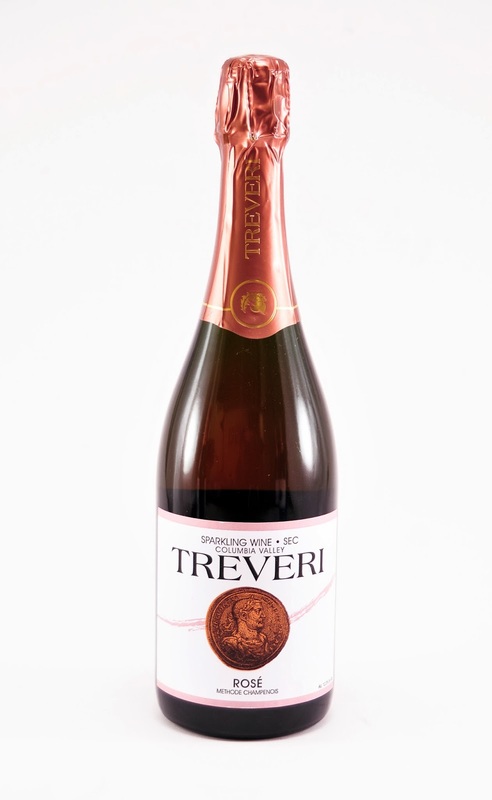 Treveri Cellars Sparkling Rose from Wapato Oregon. This winery specializes in sparkling wine and if this one is any indication – we cannot wait to taste them all. The rose is made from chardonnay and syrah. It is beautiful in the glass, would be a wonderful holiday party wine, or gift. Tastes like: fruity and floral with a terrific mousse, silky texture and extended finish. Domaine Meriwether 2001 Vintage Cuvee from Eugene, Oregon. This might be a local folks only wine but if you are local go buy it. Not all of it though because we want some more. This has all of the appeal of champagne with a $28 pricetag. Plus it was named for Meriwether Lewis – as in Lewis and Clark. How cool is that? Tastes like: like it spent 10 years on lees. Thanks to our wine friends for sharing their recommendations. . .
+Garrick McFadden who doesn’t like his bubbles “too dry” recommends Moet and made Krug part of his own “Eat Pray Love” adventure to Bali. Looks like we aren't the only ones who like Treveri Cellars. . .
"Treveri Cellars has a full line of high quality award winning sparkling wines. A number of us feel they are under priced for the quality level they are at. Note: Treveri is located in Wapato Washington not Oregon and their wines have been served at a recent Whitehouse State dinner." Imvpsesire brain power at work! Great answer!